Galaxy Graphics provides design and development services for web games, mobile applications, flash applications, website design ,flash multimedia / touchscreen / CD-ROM and graphics / illustration for online and offline digital marketing - helping you with your media requirements to achieve a creative, stylish and practical solution within a realistic budget. By working both directly with end clients and also through supporting other design agencies, Galaxy Graphics has covered a wide range of both clients and market sectors, from consumer goods microsites to trade show kiosks to mobile phone apps. If your project is complex then all the better - challenges are always welcome. 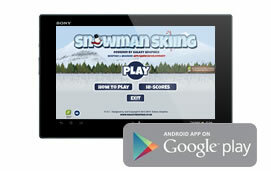 Galaxy Graphics launches it's third Android app - converted from the popular Christmas 2013 game in the Galaxy Graphics catalogue: Snowman Skiing. An iOS version is coming soon. 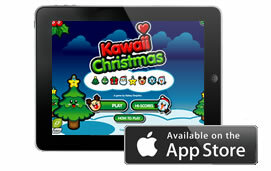 Galaxy Graphics launches it's first ipad app - converted from one of the most popular selling games, and right in time for the Christmas Season - Kawaii Christmas iPad.